It’s important, for the industry and for the service customers receive, that security and trust go hand-in-hand. 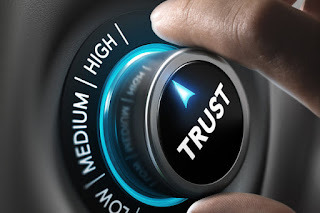 Security and trust work together to provide a transparent system that benefits the client and the reputation of the industry. To achieve trust, all stages of the security process need to be dedicated to establishing transparency. When you make the decision to use security services, CCTV camera, intruder protection, fire detection or access control, you want to feel confident and comfortable with the service you receive. That means security professional, security installers, integrators, the remote monitoring station and the end-user all need to be involved. Reporting on the performance of a security agency provides complete transparency for the end-user. They will be able to see if their security services are responding quickly and regularly to each alarm. The major step in achieving trust between the end-user and their security services is to provide a system that allows the end-user to monitor the health of their security systems.